East Coast/West Coast/North Coast: A Superior Novel: Peter Geyes' "The Lighthouse Road"
A Superior Novel: Peter Geyes' "The Lighthouse Road"
Peter Geye uses Lake Superior, about as far north as you can go on America’s North Coast, as a vivid backdrop for his second novel, The Lighthouse Road. 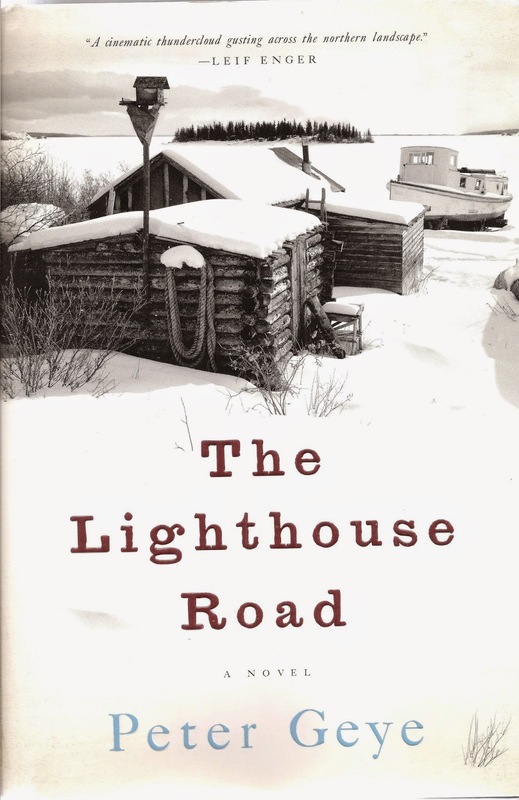 The Lighthouse Road, named after the main street in fictional Gunflint, Minnesota, chronicles the lives of two generations in Gunflint. The present day in the book is the 1920’s, with flashbacks to the 1890’s to explain how history shaped the book’s present day. The arrival of Thea Eide puts the story in motion. Thea, a young Norwegian immigrant, comes to America to work on her aunt and uncles farm. But two days before she arrives, Thea’s aunt commits suicide and her uncle is mad with grief. Her new family in shambles, Thea is compelled to work as a cook in a lumberjack’s camp near Gunflint. Thea has a son named Odd, a family name, and he is the main character in the present day of the book. Odd is a herring fisherman, a boat builder and a smuggler. He works for Hosea Grimm, an older man who runs the village’s apothecary and bordello. Hosea and his daughter Rebekah have been his surrogate parents; Thea died shortly after Odd was born. A key part of The Lighthouse Road is how Odd discovers his mother’s past and tries to find his independence from Hosea and Rebekah. Searching for identity is also key to Thea’s and Rebekah’s stories. Although this book is set well over a 100 years ago, its chronicle of the struggles of immigrants and women could have been written this year. This literary novel is also a thriller. At the book’s beginning, the reader has a certain view of the characters and their village. As the story progresses, Geye reveals surprises and plot twists. The Lake provides Odd’s occupation, first as an apprentice herring fisherman, then as a master boat builder and then as a smuggler. Geye’s Lake Superior is calm and bright on a moonlit night. It offers a week of unseasonably mild weather before a severe winter. In that winter it is locked in thick ice that allows people to walk a mile out and ice fish. One of my favorite parts of the book concerns Thea’s travels from Chicago to Gunflint by steamer and schooner. The distance that Thea travels and the power of the Lakes eloquently underscores the big changes Thea is experiencing in her life. Thea, Odd, Hosea and Rebekah are fully developed people. Geye persuades readers to care for them, even when they fall short. He has written a book as strong and well constructed as Odd’s fishing boat, with a story with as many moods as Lake Superior itself. Thanks for reading and thanks for having as much as I have been having with the word "superior" as both a proper noun and an adjective! Nicely done, Mr. John. Let's hope we are also done with this winter! Thanks for reading. Boy, it seems we are still caught by the raw winter weather, though. Thanks for reading. Good plan to wait to read the book until it warms up!